Nashville, TN - Award-winning brother/sister duo THE ROYS will cover new territory May 1 - 5 as they make their European debut with select dates at two picturesque Danish Culture Houses, Germany's ever-popular 11th Annual Buehler Bluegrass Festival and the quintessential English theatre, Leicester Square. Hailed for their superb sibling harmonies, signature "Rootsy Bluegrass Country" sound and compelling original tunes, THE ROYS complement their vocal style with a vibrant and progressive instrumental attitude that has enchanted fans since the duo's first release. For Lee and Elaine, these special dates represent a dream come true - and a good chance to dip their feet into the bigger global pond. "To say we are excited about going to Europe is an understatement," notes Elaine. "We are counting down the days!" The siblings believe that music is the universal language and hope that their music will resonate with the audiences overseas. "We want to show them that we love what we do and that we feel blessed to do it." The two are studying some key phrases in Dutch and German, and Lee is looking forward to the challenge of driving on the "other" side of the road. "Elaine's scared to death of my driving here," Lee admits with a laugh. "I can't wait to see how fast she buckles up once I'm behind the wheel over there." Lee and Elaine regularly perform over 150 dates a year across the U.S. and in Canada at venues ranging from festivals to more intimate music halls. They have become a favorite at Country Thunder and are honored to have performed at Bluegrass Nights At The Ryman, CMA Music Festival and the Tamworth Music Festival (Australia). THE ROYS have shared the stage with Bluegrass and Country legends and newcomers alike, including: George Jones, Ricky Skaggs, Lady Antebellum, Jason Aldean, Blake Shelton, Doyle Lawson, Rhonda Vincent and many others. Recently, the duo has been in the studio putting the finishing touches on their upcoming CD which is due in stores this summer. Their sophomore disc for Rural Rhythm Records, NEW DAY DAWNING (2012), debuted at Number 2 on the BILLBOARD Bluegrass Albums Chart in early September and two weeks later climbed to Number 1 on Amazon's Bluegrass Best Sellers list. The EP is currently on the BLUEGRASS UNLIMITED MAGAZINE Top 15 Chart and is one of SiriusXM BLUEGRASS JUNCTION's most played albums. Born in Fitchburg, Massachusetts and raised across the border in New Brunswick, Canada, Lee and Elaine come from a unique musical family. Surrounded by song from their earliest memories, the siblings have become one of the hottest acts on the Bluegrass/Roots/Country scene. 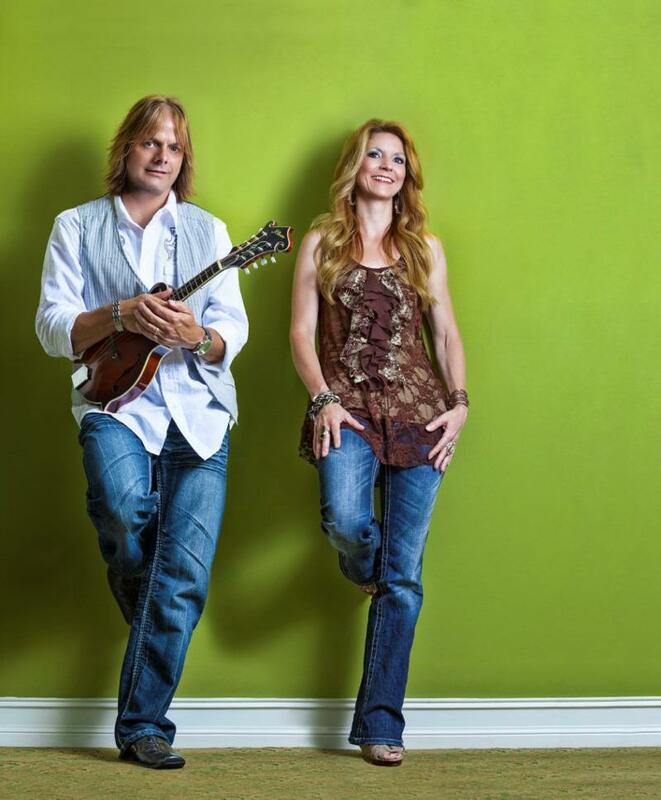 Last October, THE ROYS were named Inspirational Country Music's Bluegrass Artist of the Year (2012). They were previously honored with that award in 2011 and dubbed the organization's Duo of the Year in 2010 and 2009. The twosome have enjoyed success at radio and are the Bluegrass darlings of the media. They've appeared on CBS This Morning, Marie, Fox & Friends, Daytime, Daily Buzz, The Better Show and more. Additionally, they have appeared on the PBS programs Pa's Fiddle: Charles Ingalls, American Fiddler and Song of the Mountains, RFD-TV's Reno's Old Time Music Festival, CMC Australia/Sky TV-U.K. and Bluegrass Mountains TV Show.